Vivi is army crawling, only it is not sneaky or stealth at all. She grunts with every scoot and squeals with every stop. Today in the bathtub she squealed so loud I lost full hearing capacity for approximately seven minutes. Yesterday she ate something that made her fart like a grandpa today, one was so loud she startled the one eyed cat. Something’s going on with that baby because she was returning to her sad baby roots with much whining and crying. Tomorrow morning she’ll probably have a full set of molars and the attitude of a pre-teen. I cannot for the life of me stop staring at her, hugging her and sniffing her. The only thing that stops me is her vengeful eye poking, dangerous necklace yanking and her right armpit. Seriously, her right armpit is capable of pumping out the stink of seven sweaty men sitting together in a very small non-ventilated room. It’s so strange and so gross. The chances of her hair being curly like Addie’s is pretty much zero at this point, but she can do a killer Beiber circa 2009 impression. 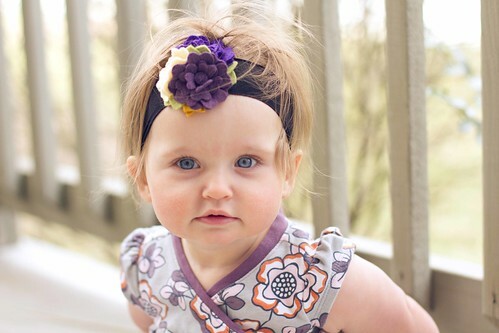 She’ll likely have that amazing hair with just enough wave to look effortlessly chic all the time. I’m planning on being very envious of it, I’m also fantasizing about braiding it, brushing it and touching it since Addie disowns me whenever I come near her these days. Speaking of Addie, she has four giant gaps in her mouth (six teeth lost total) and it’s really strange. Six pieces of my child are missing, somewhere in landfills or compost heaps. Teeth I lost sleep over when she was a baby, teeth that ruined a lot of good toys and bit many different parts of my body. With the first tooth I was horribly torn between keeping it or throwing it away. I think I tucked it away somewhere with the anticipation of being grossed out by it in the coming weeks, but by tooth number 6? I just shoved it deep enough into the garbage can she wouldn’t see it if she happened to glance in. I must write this winter a thank you note for being so kind to me. Forget global warming and Armageddon, this winter was mild because Casey couldn’t handle another winter with 87 straight days of doom and freezing gloom. The other day was a little dodgy as far as the weather but never ye fear! 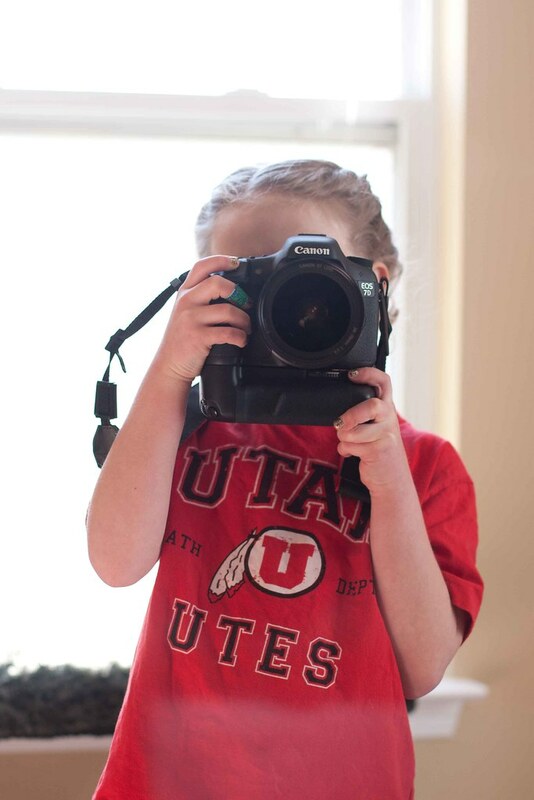 I dressed my baby up as a platypus and followed her around with a camera. Want to see more? They’re all right here. Who cares if Halloween was…a long time ago, IF THE COSTUME FITS? 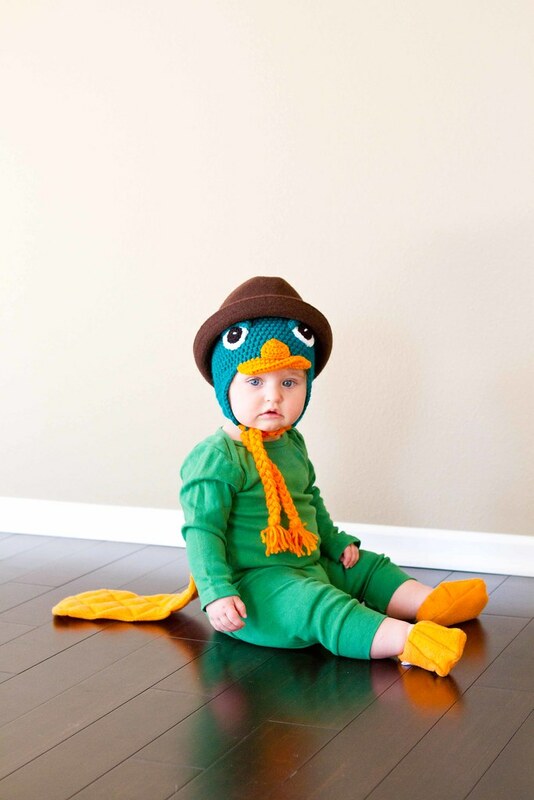 You dress your baby in it year ’round. In other super random news. Guess what today is? Happy sixth birthday blog, you’ve treated me well. (baby babble) pink parts, sympathy and chompy things. If your blogs birthday is in May, how is today your birthday? At first I thought I had somehow spontaneously lost two whole months and it was somehow suddenly May. But now I am just flat out confused ’cause my computer and my phone both still say it’s March, which is a state I seem to live in these days : ) Either way- happy birthday! @Mynde, Uh, me too. I realized it this morning as I was curling my hair but had to run out the door to be on TV so…I was uh, anyway. @Casey, TV?!? I would love to see it! Do share! Love your blog!!!! I’ve always thought Vivi was a looker. I’ve never noticed her eyes before..they are very catching…is that a term. They draw you in. And yes girl, if the costume fits..wear it. Heck Carter has worn full Iron Man regalia up into the Wal Marts year round…who cares! Vivi is just so.stinkin’(perhaps literally).cute! So I totally laughed out loud when I say May 9…. oops!! Happy Birthday two months from now!! But then I clicked on it to see you first entries and the second one, from your mom about Indianapolis/Alba-howeveryouspellit also made me laugh out loud. You have started my morning very nicely! I adore you. For so many reasons. These are truly great pictures. I love them!! And happy blog bday! The May March oopsy had me LOL’ing. I wrote 3-7-97 on a check the other day. Wha? Must have been dreaming of the glory days! Haha!